Fashion never really falls out of love with the slogan T-shirt. While our penchant for the rocker tee ebbs and flows, a few simple words on a plain jersey are sometimes all we need to pull our look together. And over the weekend, singer Alex Turner, who was performing at Glastonbury, gave us another reason to love the classic top. 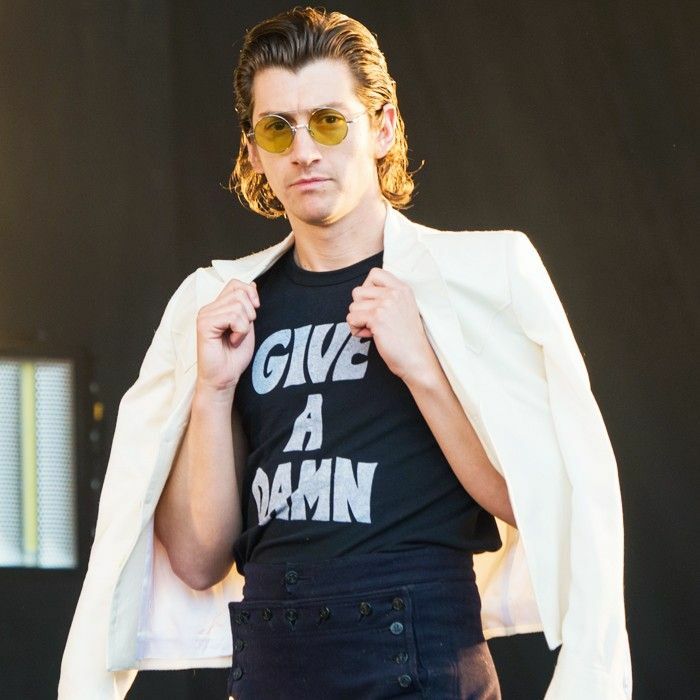 The front man for the Arctic Monkeys and The Last Shadow Puppets turned up on stage wearing a black crew neck, which had the words "give a damn'" emblazoned across the front. The shirt was created by Alexa Chung's best mate Tennessee Thomas (you might recognise her as one of Chung's Instagram squad), who launched a creative and activist collective known as The Deep End Club. The T-shirt is not only stylish but it sends an important message for the younger generation to vote and have their say. Now, we don't know about you, but the fact that he tucked it into a pair of high-waisted jeans and threw a casual white blazer over his shoulders made us want this tee even more. And if you need any more persuasion of the fashion variety, Chung's been spotted wearing it too. Keep scrolling for Alex Turner's look and where to buy the slogan T-shirt. Alex Turner performing with the The Last Shadow Puppets at Glastonbury 2016. Worn by Alex Turner, loved by fashion girls everywhere. Want more T-shirt shopping? Check out our gallery of the best T-shirt brands under £50.